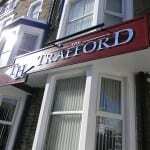 A warm and friendly welcome awaits you at the newly refurbished Trafford Hotel. 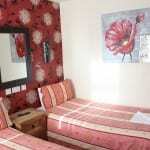 We have 25 bedroom and a licensed hotel situated in the middle of Blackpool. The Trafford is only a 5 minute’s stroll to the famous Blackpool Tower and Winter Gardens, and just a short walk away from Blackpool Grand Theatre, Sea life Centre, Madame Tussauds, promenade, shopping centre and much more. 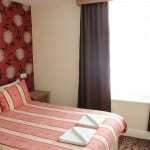 If you are visiting Blackpool for a family holiday, weekend break, dance competition, conference, or concerts, the central location makes The Trafford an perfect place to stay. 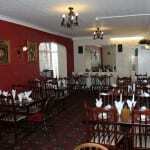 The Trafford offers a home from home feel. 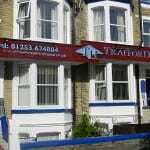 Limited Car Parking spaces £2.50 per night. 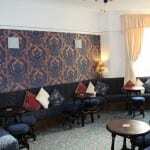 Ideal for Families, Couples, Dance schools, corporate delegates. Recently new breakfast Menu available. Free internet connection in public areas. 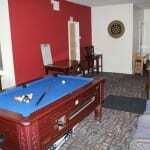 Games room (Pool Table and Darts). Place Categories: Tower Families and Tower Gay Friendly.